I have a second vintage New York Beauty quilt top to hand quilt. It also belongs to Bill Volckening and it is great. 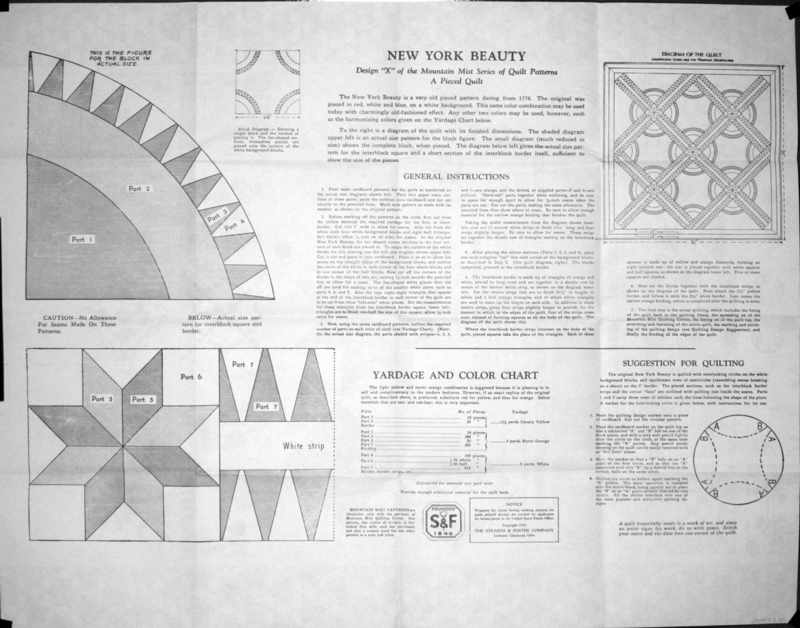 The New York Beauty pattern has existed since the mid 1800’s with many different names along the way. I won’t get into the evolution of the pattern/names (I’m waiting for the book….Bill is writing it now) but I feel confident that this one was made from the Mountain Mist /Sterns and Foster pattern. These patterns were printed on the wrapper of Mountain Mist quilt batting. 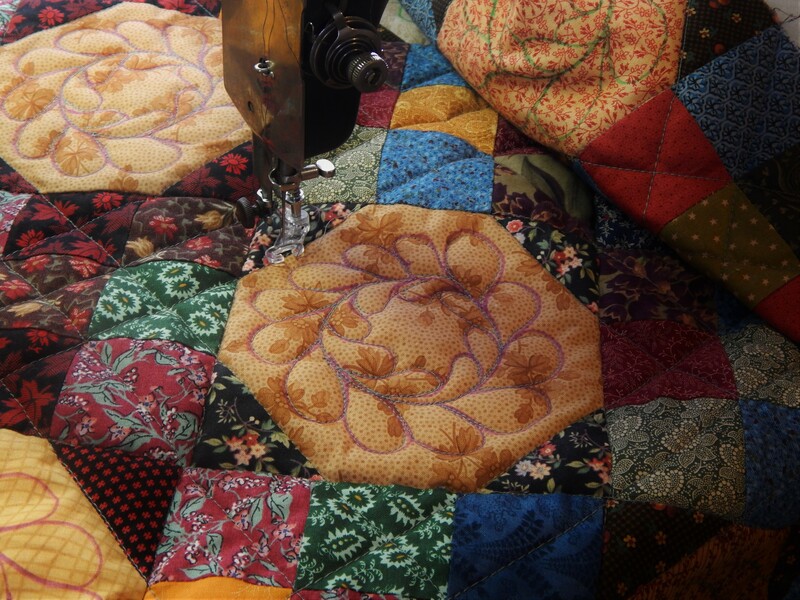 Here is a quilt that has been documented to be made in 1932 using the Mountain Mist pattern. The only difference in this top is the fabric choices….scrappy rather than solids. 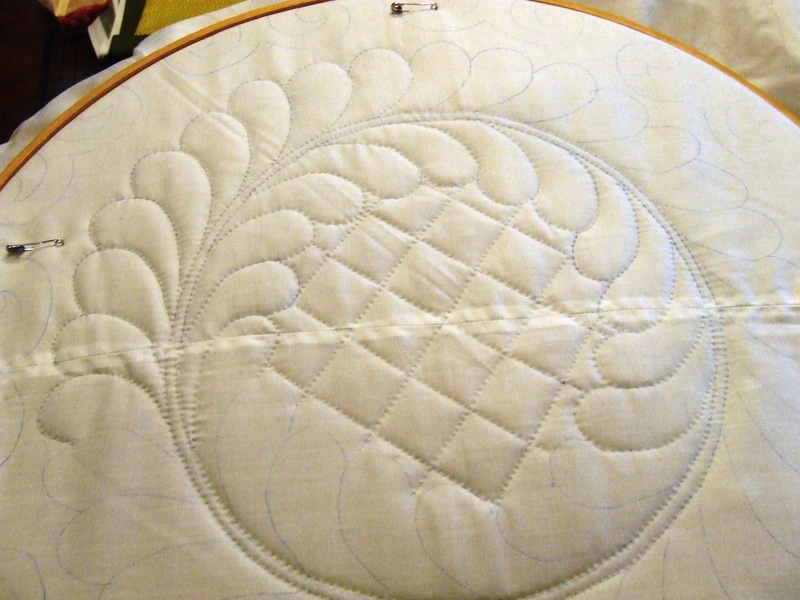 I won’t decide on a hand quilting pattern until I have worked on it for a while…it will tell me what to do. 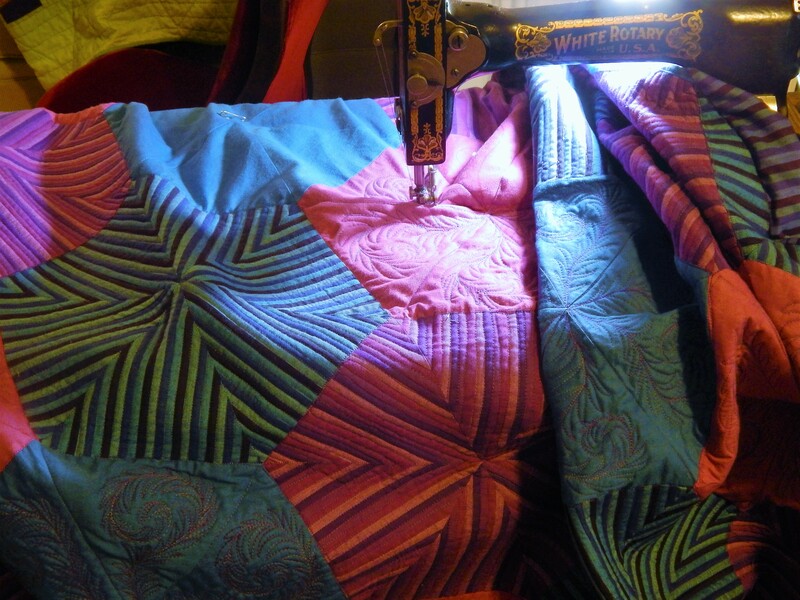 This entry was posted in Quilts and tagged hand quiltimng, New York Beauty, Quilting, Quilts, vintage quilt top. I don’t know why but I like this one so much more than the last one. I am looking forward to see what you do with it. I have thought about it and there are two reasons this is better, one is the craftsperson was more skilled, and the fabrics are just so girly! LOL, Sara stole my post…..Oh well, great minds….Can’t wait to see what you do with this one! That is really out of linement. Good luck. I do lots of restoration and finsihing of anitque blocks and tops and some can be real horrors to get right but still lots of fun as far as I am concerned. Hi Tim, it will be fun to see how you choose to go with this one. 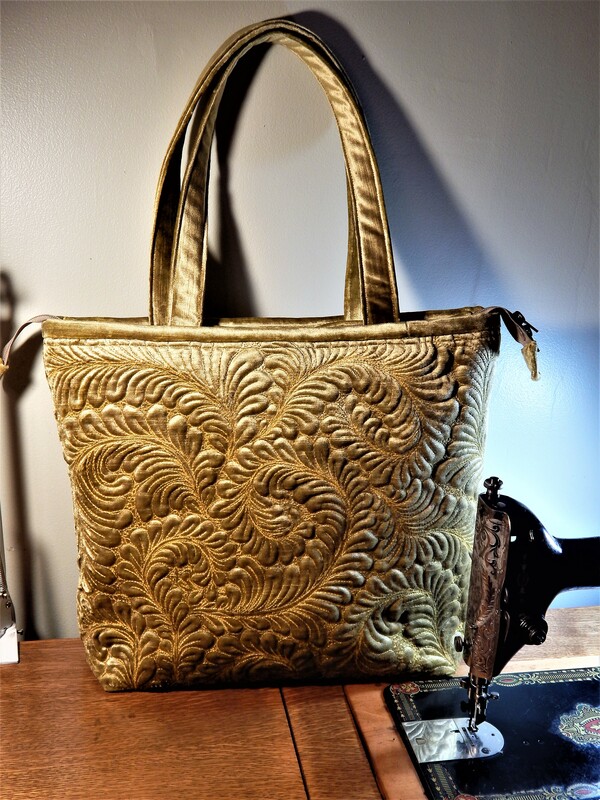 I’m really enjoying your posts about this pattern and your work on the tops…Have a great day and hi to Teddy. Good Lord, that’s quite extreme, isn’t it? Probably explains why it was never finished… But that Beauty’s a beauty, isn’t it. I don’t know if I’ve seen as pleasing version of this in scrappy. I am looking forward to the book too now. I’ve been I love with New York Beauties for a long time. OMG, this needs courage! I fear that when you start taking it apart you will be going further and turther and won’t be able to stop! But I like the colours and design!